What to Know About the 2018 Land Rover Range Rover Velar Technology? It’s nearly impossible to live without technology, and Land Rover knows this, which is why the 2018 Land Rover Range Rover Velar technology is equipped with all the features and amenities you crave while on the Arnold roads. From a vehicle that’s intuitive to one that provides you with the entertainment and information you need, there’s nothing you will be missing when you opt for the new Land Rover model and its full suite of tech features. When the right technology is important for your next car-buying decision, be sure to check out the 2018 Land Rover Range Rover Velar technology at Land Rover Annapolis. This model will be sure to provide you with all the bells and whistles you’re looking for in terms of entertainment, connectivity, and information—from rear seat entertainment features, to smartphone capabilities, to oversized touchscreens throughout the cabin. 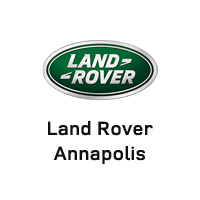 Visit Land Rover Annapolis today to see our inventory. Our dealership is located at 101 Ferguson Road in Annapolis, MD, or you can contact us directly at (410) 904-3108 to schedule a test drive or explore more about our vehicle specials.